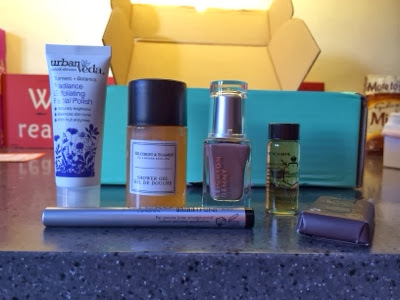 I don't often post up my beauty box reviews but my birchbox arrived this month while I was typing up some posts so I think I may start doing them more frequently if people like them. I have to say that unfortunately, I was a little disappointed with this months offering, I'm normally always pretty happy with what I get each month, but this month it's just a little "meh", the only product I'll probably end up using is the Eyeko Eyeliner, the others don't really appeal to me to be honest. But anyway, here's what I got. This claims to battle UV Rays, Heat & Breakage. 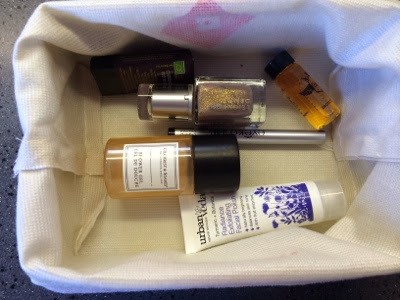 Looks ok, and could come in handy for holidays or nights away to throw in a bag and try. I'm most excited by this, I will end up using it and you can never have too many eyeliners in my opinion. Haven't ever heard of this before and doesn't massively appeal to me but again, because of the size, could be a good one to take away on holiday. Again, not for me this product, I'm quite particular with shower gels so I'll probably end up giving this one away. I'm not overly keen on the colour of this polish to be honest so again, not one for me, but I'll give this away to a friend. 2 comments on "BIRCHBOX // February 2014"
I was the same this month, a bit disappointed. I am thinking of unsubscribing and just buying something I actually want full size every other month in place.